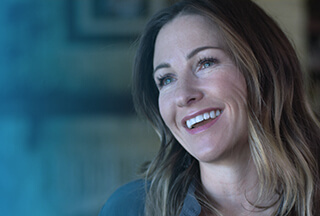 Sr. Service Account Manager at Dell Inc.
Dell provides the technology that transforms the way we all work and live. But we are more than a technology company — we are a people company. We inspire, challenge and respect every one of our over 100,000 employees. We also provide them with unparalleled growth and development opportunities. We can’t wait for you to discover this for yourself as a Sr. Service Account Manager in Metro D.C / Northern Virginia. As a Sr. Service Account Manager (Sr. SAM), you are a key member of the EMC Customer Service Team who supports our largest and most strategically important customers. As a Sr. SAM you are assigned and responsible for a specific area, region, or division with site locations as specified in account service plan, builds relationships within account(s) to become a support services trusted advisor focused on the total customer experience and satisfaction. You leverage various EMC resources to ensure incident resolution, drive proactive activities promoting system health and customer satisfaction. You also provide detailed customer reporting using a cross section of services tools and applications. You are also expected to collaborate with EMC account teams to understand the business strategy and supports sales opportunities. You will also be responsible for the account management of multiple customers or sites with larger install bases. Top Secret Clearance Required or Ability to have TS Clearance Reactivated.